ONLY THE ALERTS YOU NEED. JUST WHEN YOU NEED THEM. We use AI to constantly monitor and forecast business performance. We have your back, so you can grow your business. "Even with our massive dataflow, Anodot has proven that it can seamlessly correlate data across millions of real-time streaming metrics - alerting us immediately so we can react instantly." Autonomous Analytics uses machine learning to understand behavioral patterns within time series data, to identify anomalies and to continuously forecast future values. Our alerts operate in real time and offer you context - correlating each incident to similar anomalies, relevant factors and the potential root cause. Detect and diagnose high-impact problems faster than is humanly possible. Let Anodot do the heavy-lifting. The platform monitors data across your organization and tools for the widest visibility. It weeds out superficial outliers and the alert storms to show you anomalies that matter. Use our correlation engine to find and fix the root cause faster than ever. Anticipate business events before they unfold, and optimize accordingly. 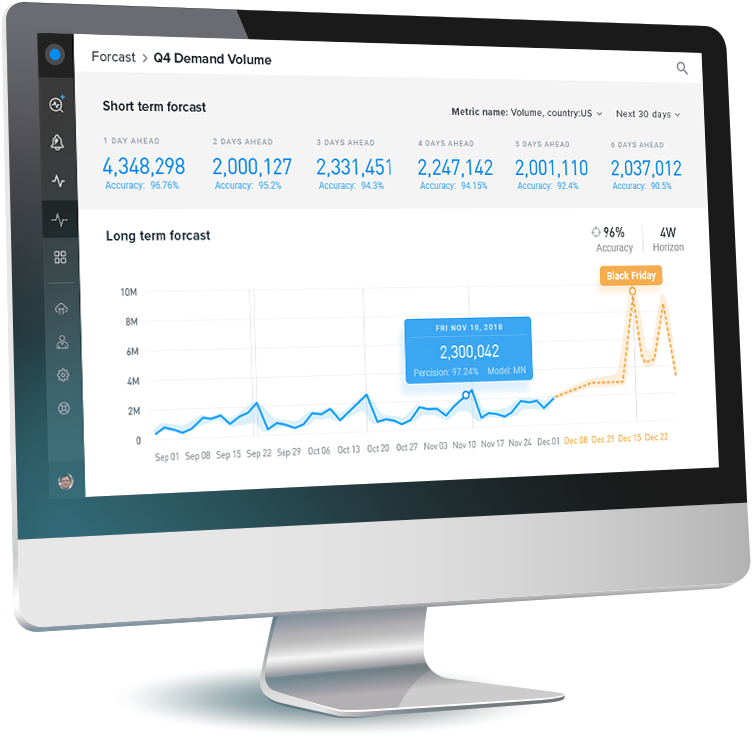 By identifying your data trends in real time, Autonomous Forecast gives you the power to prevent future revenue loss and avoid unnecessary costs.